Male Potency Two X™ is a combination of potent herbal extracts and natural compounds formulated to improve libido and sexual performance (saw palmetto extract - 45%, eurycoma longifolia jack - 100:1, Korean ginseng extract - 7%, yohimbe bark extract - 10%, zinc, pygeum extract -13%, l-arginine, horny goat weed extract - 20:1, DHEA, ginkgo biloba extract - 4:1, muira puama extract - 20:1, tribulus terrestris - 20:1, catuaba bark extract - 20:1), maca, damiana). 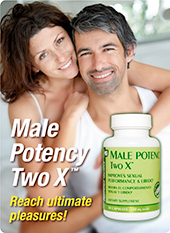 Male Potency Two X™ is a natural supplement that gradually improves erectile dysfunction due to age, hormonal changes, alcoholism, medications, and various diseases. 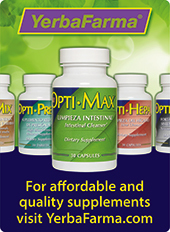 This supplement is considered an effective long-term maintenance supplement. 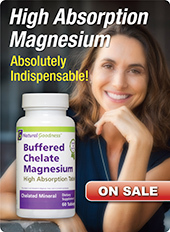 Suggestions: Combine with MULTI-MIX COMPLEX™, MACA ANDINA™, and GINSENG COMPLEX™. Warning: Should not exceed recommended dose, consult a health care professional if have high blood pressure or heart problems.